The art and science of magnifying far away objects first began with the Italian polymath Galileo Galilei who built the first telescope in order to prove the theory of Copernicus – that the Earth revolved around the Sun and not the other way around. The greatest astronomical revelation was only possible with him creating the first telescope. Since then, we have improved upon the basic telescope to create a more efficient device to project far away images with the same accuracy and contrast as the human eye. Here we will not be looking at the observatory behemoths, but the handheld spotting scopes which may not be suitable for star gazing but work wonderfully on the terrestrial terrain. Spotting scopes are monocular, high power and high-resolution telescopes which are more powerful than any binocular in the market. They are smaller than an average telescope but equally powerful. 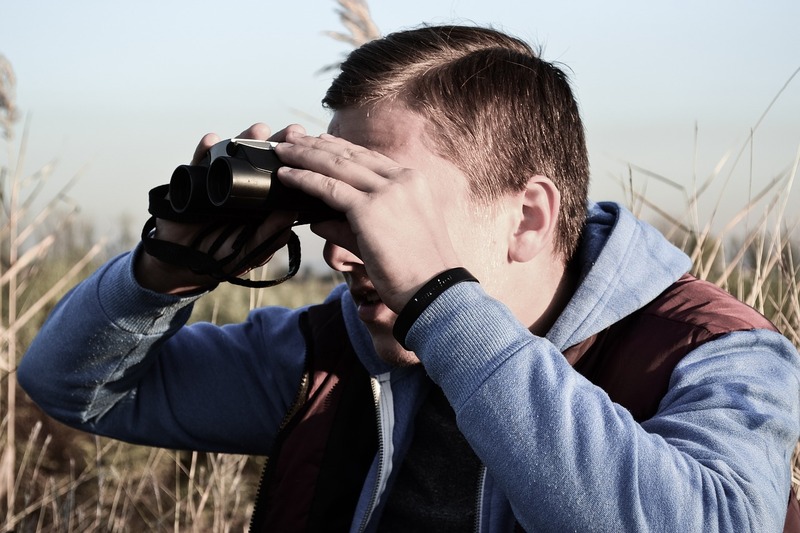 They are durable, built for outdoors and mainly used by bird watchers, ornithologists, marksmen, and hunters. It is a must have outdoorsman tool. Even though these devices are fairly expensive, many have considered it to be a worthwhile investment to enhance your viewing experience. In order to make sure you purchase a product which meets your needs, there are certain factors you will have to keep in mind. In the following piece, you will be introduced to the factors you must consider before buying a spotting scope and later we will look at some of the best budget spotting scopes. Many would agree with the phrase, ‘The best purchase is an informed purchase’. The more you know about the product you are buying and what you are looking for in the product, the more likely it is that you go home as a satisfied customer. This process is given higher priority when you are buying high-end equipment, which in this case is the best spotting scope for the money. 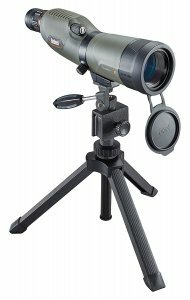 The following is a well-explained list of factors that need to be considered before you buy the best spotting scope for the price. There are many fields in which a spotting scope can be used. In order to cater to the different fields, the creators have designed different types of spotting scopes. The three types of designs in which spotting scopes are available are Prismatic, Catadioptric and Newtonian. Prismatic spotting scopes are the most commonly used, and like binoculars, use prismatic refractor. They produce right side up images which are correct from left to right. These are very popular in the bird watching and marksmen community for the rugged durability in the field at a low cost. Prismatic scopes come either angled or straight. The angled versions have the viewing lens at 45 degrees. The straight scopes are good at locating the subject with ease as the scope is aligned with the eye. It is also easier to use when in a concealed position and the eyepiece doesn’t accumulate dust. It is, however, inconvenient to reset the scope for the shortest person in the group. This is where angled scopes are advantageous. Set it for the shortest person in the group and all can use it. It is recommended if you are traveling with a group and plan to be in a seated position while viewing. It does produce a strain on the neck though and can cause slight inconvenience in comfort. Catadioptric spotting scopes are high-end telescopes which incorporate the principles of refractor and reflector scopes, combine them to form a device which has all the good of both technologies. The combination has been able to produce images with greater error correction. They are short and easy to use, generally paired with a mount. However, not many are produced, and the ones that are come are available at a very high price. The last and the least used type is the Newtonian spotting scope. As the name suggests, it was developed by Sir Isaac Newton and is a complete reflector type scope. It uses a large parabolic and a small mirror near the eyepiece to form the image. Some newly developed Newtonians come paired with catadioptric scopes, i.e., with an additional lens. As the basic function of any scope, may it be a microscope or a telescope, is to magnify the size of the observed object it becomes an extremely important criterion to consider. An average spotting scope can provide magnification of the range 15x, which means the viewed object will 15 times the size it would be if viewed without aid. Some of the high-end spotting scopes can give the magnification of up to 250x. Higher magnification has a drawback of decreasing the size of the exit pupil, which in turn affects the low light performance of the scope in a negative way. The magnification of a scope depends upon the type of eyepiece in use. These come in many varying formats like removable, non-removable, fixed and zoom. The non-removable type eyepiece is self-explanatory, i.e., there is only one fixed eyepiece. In case of a removable eyepiece, they can either with fixed or zoom magnification. The fixed type will have only one magnification, for example, 30x, but in a zoom type, the magnification can be varied in a certain range, for example from 20x to 40x. Zoom types are preferred as the subject can be located at low magnification and then zoomed in on at a clearer magnification. Some, however, prefer fixed removable eyepiece for its simplicity. Zoom types have a disadvantage of darkening of the image as the magnification became too high, but recent models have eliminated this error. This is the part of the scope which would decide on the quality of the projected picture. The objective lens is the glass piece on the other side of the eyepiece. The lens is categorized based on its size, which is also known as the scope’s aperture. The size is measured as the diameter of the lens in mm. The categories are 50mm, 60-655mm, 77-85mm and above 85mm. The bigger the objective lens, more is the light that can enter the scope thereby increasing the picture quality. Larger lenses do increase the weight, but that is a bargain one is willing to make for better viewing quality. In order to increase the sharpness and overall quality of the projection different materials are used to create the lens. Some of the types are extra-low dispersion (ED), high density (HD) and Fluorite (FL). Different lenses are created to cancel out certain optical phenomena. The specialized lenses are costly and are advisable to be used by users with higher than 30x magnification or if the scope is to be used for photography. Focusing involves sharpening the image so that it is as clear as it would be if viewed by the naked eye. In case of spotting scopes, there are three types of adjustments that can be provided; one knob, two knob or helical system. The one knob system is simple and the most common. The focusing is arguably the best of the three, despite the time it takes. The two-knob system is two drives of the same system functioning at different ratios. The fast knob gives quick focusing capabilities which can later be refined further by the slow knob. The helical focusing has a collar around the body of the scope which provides quick focusing capabilities. At the end of the day, all techniques are considered fairly equal and it all dials down to personal preference. The scopes have good magnification and it was a shame that the projections couldn’t be permanently captured. Keeping this in mind companies developed two ways in which the scopes can be used to take pictures. One way is to have an adapter which can assist you in attaching your 35mm SLR to the scope. In this setting, the focal length will be fixed and the viewfinder of the camera functions as your eyepiece. The other way is to put a digital camera on the back of the scope. There are many attachments available today that can help you in doing this. 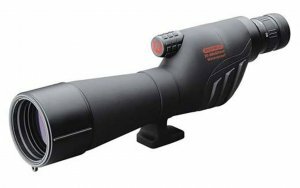 Now that we have looked at the criteria to consider when making a purchase of the best value spotting scope, let’s look at some of the best scopes available in the market today. We start our list of the best budget spotting scopes by looking at the youngest company on the list. SVBONY came into the market about 2 years ago and has already made a name for itself in the enhanced viewing optical devices market, and the SV13 is the best example of what their company has to offer. The SV13 is an angled spotting scope, with 20 to 60x magnification capabilities and an 80mm objective lens and 18mm exit pupil distance. The larger objective lens helps in clear and better projection due to more light entering the scope. Adjustable magnification gives you a range to choose from for comfortable viewing. It incorporates a BAK4 prism which is the best kind of porro prism in the market today. Since the BAK4 creates crisp and clear pictures, these scopes are a good fit for photographers, which is why a universal mobile phone adapter is provided which can be mounted on the eyepiece to take pictures using the scope’s magnification. The IPX7 and fully multicoated (FMC) lens glass is waterproof and fog proof, making it suitable for all kinds of weather. The FMC lens coating makes sure to compensate and overcome any unnecessary disturbance that may arise due to change in the properties of light when viewing far away objects. 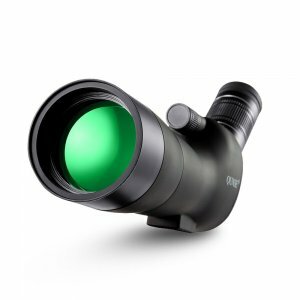 QUNSE is a trusted name in the spotting scope industry and has been able to maintain their seat at the table by creating some of the best scopes in the market. The QUNSE X27 lives up to and exceeds the reputation that the company has with its customers. The X27 comes with 20 to 60 times magnification capabilities for your viewing pleasure, which when paired with the 60 mm objective lens provides clear and crisp projections. They focused on the eyepiece by creating a 23mm exit pupil distance which is very comfortable if to be used for long, uninterrupted hours. The objective lens is a fully multicoated broadband green film which cancels out any optical illusions which may disrupt the image. It works beautifully when paired with a tripod, and as the scope is of the angled type it could be set permanently and then shared among the group. In order to make the scope waterproof, nitrogen gas has been used in order to create a tight seal on the inside. It uses a BK7 prism, which is one grade lower than a BAK 4 prism, yet produces great quality images. Emarth has produced many great products over the years for the publics optical viewing pleasure, and they have bettered themselves with every new launch. The Emarth 20-60×60 mm keeps in line with this trend as it is an absolute pleasure to use. 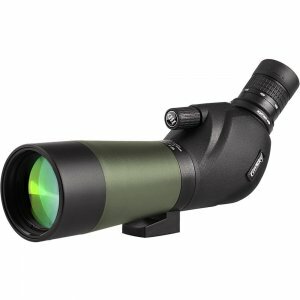 This new Emarth comes with a 60mm objective lens, which lets enough light to enter the scope for near-eye like picture viewing. Paired with a 20 to 60 times magnification power and you have a beast of an optical instrument. The eyepiece, which is angled, has a comfortable 23mm exit pupil distance which is necessary to provide a comfortable viewing experience. The objective lens is a green film, fully multicoated, which cancels out optical disruptions, all the while producing crisp images and reducing eye fatigue. The focus is of the dual kind, coarse and fine, which helps in providing crisper images. 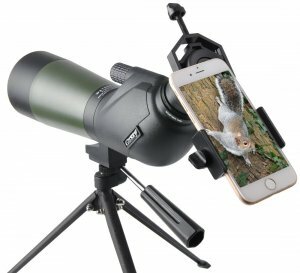 The scope incorporates the latest BAK 4 prism which creates pictures clear enough to photograph, which is why the scope comes with a Canon type EF bayonet DSLR adapter which can also double as a mobile phone adapter. The scope is also waterproof, thanks to the O-rings which keep out moisture, debris, and dust, increasing the longevity of the scope. Roxant Blackbird is everything that you could ask for in a tactical spotting scope, which not only provides high-end viewing experience but is also ruggedly built for outdoor durability. The first thing that we should talk about the Blackbird is the 50 mm objective lens, which is large and allows ample amount of light to enter the scope for the best picture quality. Paired with the 12-36x magnification, you get the perfect viewing machine. Though the magnification seems less, any professional will tell you that at higher magnifications the low light viewability of the scope is compromised. The eyepiece is angled at 45 degrees for comfortable viewing, especially in a seated or crouching position. The BAK 4 prism gives a crisp and high-quality projection. The durability of the scope can be attributed to the exterior chassis, which has been described as rubber armor construction. The entire structure has a very comfortable feel and grips well due to the rubber coated exterior. The grips on the non-slip, smooth-glide focus ring on the scope give a great performance. There is also an extendable sun shade for the objective lens which comes handy to avoid glare, especially if in a concealed position. Optics is a field that requires a lot of time and precision to produce a single product as there are many parts and calculations to consider. As Bushnell has been in the business of optics for about 65 years they have honed their craft and produced highly accurate spotting scopes, binoculars and rifle scopes among many other types of equipment. The Bushnell Trophy Xtreme has been created keeping in mind the legacy that this company has created itself. Trophy Xtreme is built considering the most rugged of outdoorsmen, using waterproof rubber armor construction for strong grip and sturdy build, perfect for hunting and wildlife. The armor is also shock absorbent, so no worries if you drop the scope now and then. It can handle itself very well. Soft and hard cases are available based on what type of protection may be required based on the environment. The objective lens diameter is 50mm, which allows more than enough light to enter the scope for clear images. This is paired with a straight eyepiece with 16 to 48x magnification capabilities for a high definition viewing experience. The lens coating is multi-coated which provides cancellation of any optical illusions and reduces eye strain. Bushnell provides a no questions asked lifetime warranty for all their products, which just goes to show how much faith they have in their product. Even though the scope is on the expensive side of the spectrum, it is a great investment and the best spotting scope under $500 in the market. 14mm exit pupil diameter is slightly inconvenient, especially for long, uninterrupted use. Gosky is a Chinese company who builds optical instruments and have recently seen much consumer attraction. They have their interests in far sight instruments like binoculars, spotting scopes, and telescopes, as well as in micro observation tools like microscopes. 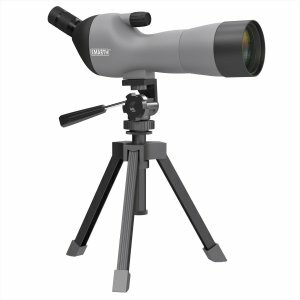 Gosky has created a range of spotting scopes, of which the 20-60x60mm is one of the most popular ones. The 60mm objective lens provides great image projection quality as it invites more light into the scope. The lens is also multi-layered, broadband coated which reduces eye strain. When paired with the BAK 4 Porro prism, you are provided with a crisp and clear picture. The viewing experience is enhanced by using the 20 to 60x magnification eyepiece which helps you choose the most suitable setting from a single eyepiece. the eyepiece in angled for comfortable viewing. The exterior is made using rubber armor which is highly durable and protects it from any environmental element and increases the lifetime of the scope. As the BAK 4 produces crisp images, they can be captured using your cell phone which can be mounted on the digiscoping cell phone mount. Gosky has been able to produce great optical products over the years, and in recent times have finally made their way over the ocean and into the US markets. The Gosky 15-45x60mm spotting scope is like the younger sibling of the high-powered spotting scopes they have produced so far, which is no cause to underestimate it. The device may be smaller but produces the same quality of images that Gosky is known for. We begin the scrutiny at the objective lens, which is large 60mm of diameter. This is a fairly enormous lens when considering scopes and allows much natural light inside for great picture quality. FMC green film coating increase picture quality by reducing eye strain and canceling out any disturbances like optical illusions. The 45-degree angled eyepiece has the capacity to provide magnification from 15 to 45x which is more than enough, as higher magnification reduces the low light capabilities of the scope. 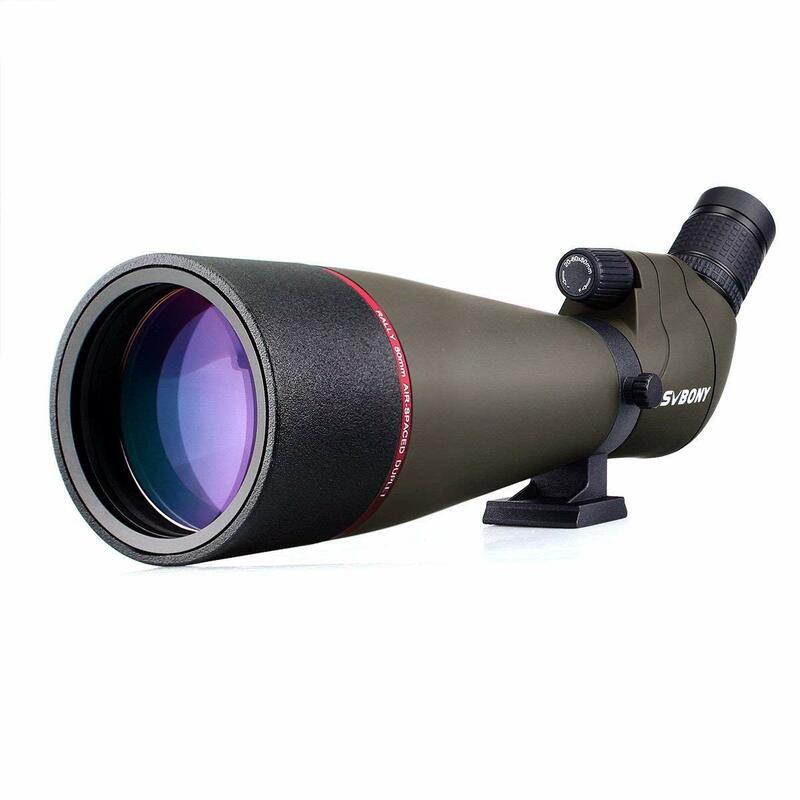 The durability of the scope comes from its Magnalium framework and rubber armor making it terrain friendly and ready to face the elements of nature, a good feature for any wildlife equipment. The waterproof quality of the scope comes from the O-ring seals, preventing moisture, dirt, and debris from entering and compromising the integrity of the scope. 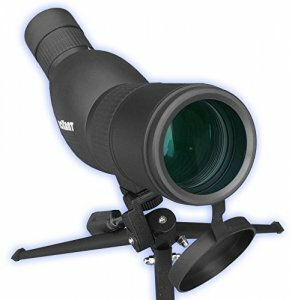 The scope has a BAK 4 prism, which provides a projection of clear and crisp nature. In order to capture these images, a digiscope cell phone adapter is available which can be used to mount your cell phone and click pictures. Celestron has come a long way since they first opened their doors in 1955, to become the leading name in the optics department. From their home offices in California, they have created some of the best viewing equipment which is being used today. 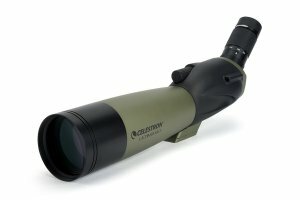 Celestron has outdone itself with the Ultima range of spotting scopes. The Celestron 52250 comes with a large 80 mm objective lens, which allows ample amount of light and more to produce the best picture quality possible. The quality of the picture is enhanced by a multi-coated lens, which helps in canceling out any disruptions and allows for long time viewing. Paired with a BAK 4 Porro prism, the picture quality increases tenfold. The eyepiece comes with 20 to 60x magnification capability for suitable viewing conditions. The eyepiece comes as straight or angled at 45 degrees, and a purchase can be made based on your requirements. The soft rubber coating of the eyepiece makes the scope eyeglass friendly. Designed for outdoor use, the exterior of the scope is waterproof, very durable and can handle itself against nature. Removing the eyecup rubber reveals the T-thread which can be used to attach a camera to it, which paired with the BAK 4 will be able to capture beautiful and clear pictures. It is advisable to purchase the 45-degree version if you are planning to carry out photography expeditions. Barska is yet another California based company since 1994, who have their interests in optical equipment like spotting scopes, binoculars, monocular and rifle scopes. They also design security devices like safes, vaults and tactical vests. The Barska 20-60x65mm spotting scope is a marvelous piece of equipment built for your viewing pleasure. The 65 mm objective lens is a fully multi-coated optical lens, which provides great light exposure to the scope for best picture quality and also removes any unnecessary optical illusions thanks to the lens coating. To improve the clarity of image the objective lens is protected from glare using a sunshade. BAK 4 prism pairs beautifully with the objective lens for a crisp and clear picture. The 20 to 60x magnification eyepiece is available as straight or angled as per your requirement. The magnification system gives you a variable range of options to choose from in a single eyepiece. The textured rubber body is built for durability and works in all weather conditions which means this is a must for any bird watching and wildlife enthusiasts. The nitrogen filled casing provides protection from fogging. The product comes with a soft and hard carrying case which can be used as per your convenience and a pan head level tripod for stable use. It is the best spotting scope under 300. The final on the list is a legacy, as they have provided quality hunting experience to the American population for about 100 years. Redfield has inculcated the experience which comes with that legacy in every equipment, and Rampage is no exception. The Redfield Rampage is a beautiful piece of equipment. Small, light and yet holds the viewing power of a hawk in it. The 60mm objective lens bathes the insides of the scope with ample light to project a very clear picture of the subject. Paired with a BAK 4 prism, the clear picture is made to appear even more defined and crisp. The fully multi-coated lens makes sure that no disruptions are accompanying the light entering the scope, which is helped by the extendable sunshade to avoid any glare. The straight eyepiece provides ease in finding your subject and with the 20 to 60x magnification, make it appear as big as you want with the use of only one eyepiece. The straight eyepiece makes it a great hunting tool. Polycarbonate body provides weight reduction but does not compromise durability and the bulletproof glass means you need not worry if you accidentally drop it once in a while. The standard tripod adapter can be used to mount the scope with ease. Spotting scopes are a great investment for anyone who is looking to connect with nature. Observing animals and birds in the wild is an opportunity many talks about but only a few pursue. 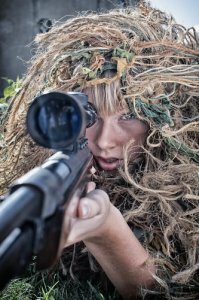 If you are one of those few then take your experience to the next level by purchasing the best value spotting scope using the guidelines and the examples we have gone through above. If the above factors are carefully considered, you will find the scope you have been looking for.